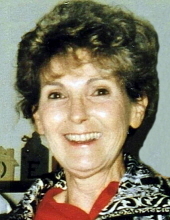 Doris Daniels Radwick, 85, of Plymouth died Tuesday, April 2, 2019, at her residence in Plymouth. Born August 2, 1933 in Washington County she was the daughter of the late Luke Daniels and Nellie Oliver Daniels and was preceded in death by her husband, Walter Albert Radwick, Jr.; grandchildren, Sara Cannan and Jonathan Rea; son-in-law, Edwin Rea; sisters, Barbara Norman, June Horton and Peggy VanDorp; brothers, Wayne Daniels and David Daniels. Doris was a homemaker, avid gardener and member of First Original Free Will Baptist Church of Plymouth. Her family includes her daughters, Susan Radwick Rea of Plymouth, N.C., Robin Radwick Cannan and husband Dan of Douglasville, GA.; son, Daniel S. Radwick and wife Shannon of Port Orange, FL. ; brother, Douglas Daniels of Atlanta, GA.; grandchildren, Lauren Rea, David Cannan, Trevor Cannan, Holly Friar and husband Houston, Presley Radwick and Brody Radwick; great grandchildren, Kayson Cannan, Kayne Cannan and Kole Cannan. Funeral service will be held Saturday, April 6, 2019 at 2:00 pm at Maitland Funeral Home, Plymouth with Dr. Bobby Taylor officiating. Burial will follow in Hillside Memorial Gardens. Family will receive friends on Saturday, April 6, 2019 from 12:30 to 1:30 pm at Maitland Funeral Home, Plymouth and other times at the residence. "Email Address" would like to share the life celebration of Doris Daniels Radwick. Click on the "link" to go to share a favorite memory or leave a condolence message for the family.